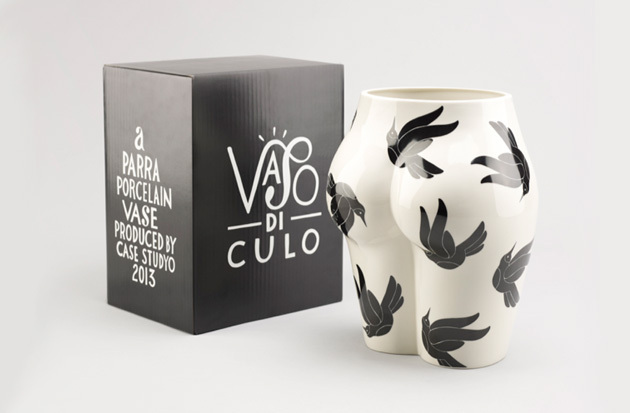 The “Vaso Di Culo” porcelain vase is modeled after Dutch artist Parra's favourite anatomy. 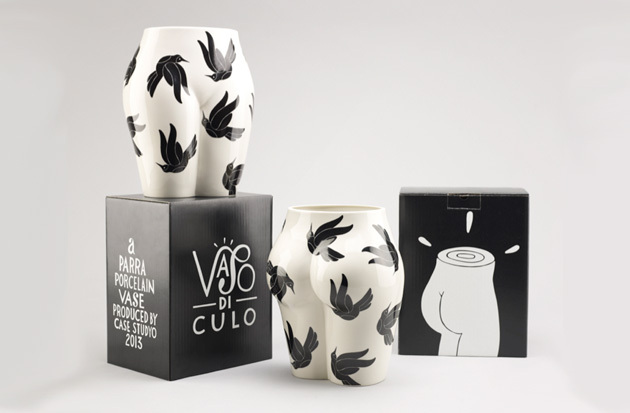 This latest release is part of his ongoing collaboration with art house Case Studyo. 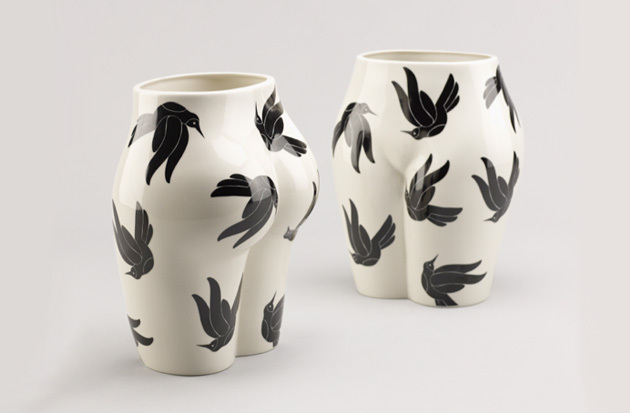 The the bodacious 30 x 23 cm cream vase is decorated with flying black birds. Limited to 200 units, retails for €165.